Welcome to all of our new patients and potential patients who are thinking of booking an appointment at our Mississauga wellness centre. We have had many questions lately about what is required to book in a visit with one or more of the health practitioners at our Chiropractic wellness center in Mississauga. 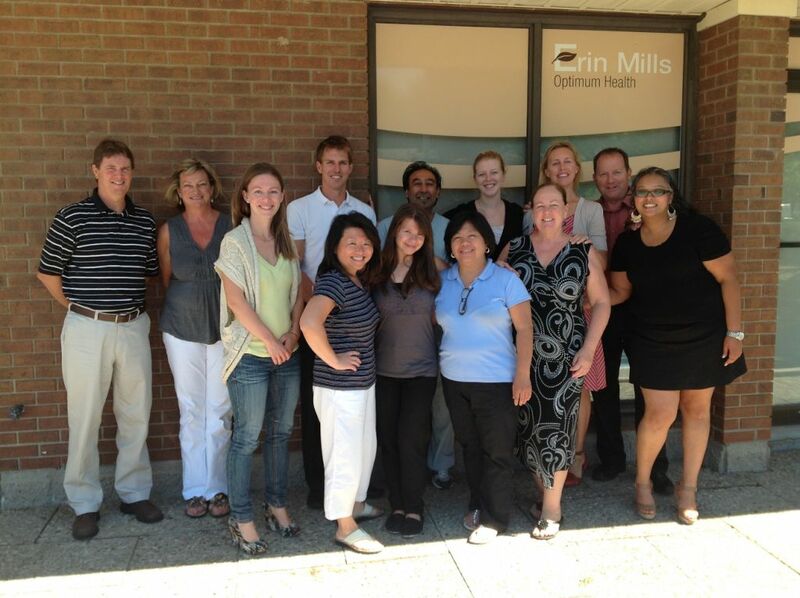 At Erin Mills Optimum Health we do not require you to have a referral for any of the services that we offer here at the clinic. We do recommend that if you have extended health insurance that you check with them on their requirements as they sometimes need additional information for your coverage. Each of the disciplines at the clinic have a very similar processes in regards to new patients with slight variations on the initial visit time and information needed. For all new patients it is always best to call the clinic and book an appointment ahead of time to ensure that the Doctors can dedicate one-on-one with you for your specific health care concerns. Once the Chiropractic intake form is filled out you will meet one-on-one with one of our four Chiropractors and go over your health history along with any and all of your health concerns. Once completed the doctor will discuss his/her findings with you and if needed can take digital x-rays or a SEMG to help further diagnose your individual case. Depending on your individual situation the doctor may adjust you on your first visit or wait to see more information from the testing that was done. For the initial visit you should allow yourself about 30-45 minutes. After filling out the Naturopathic intake form you will meet for 60-90minutes with one of our three Naturopathic Doctors. At this appointment they will go over your health history along with your concerns. After speaking with you and gathering all the information they need they will then make suggestions/begin treatment depending on your individual case and what they feel is best for you. It is always recommended that you bring any supplements or medication that you are currently taking or have been prescribed so that the doctors can have the best treatment approach for your situation. The initial Chiropody visit is about 45-60minutes in length and is completed by our Chiropodist Kiran Davé. Once the Chiropody intake form is completed a full evaluation will be conducted. For the initial visit we ask that you have no nail polish on your toes as well as wear a pair of pants that can roll up to your knees or bring a pair of shorts to change in to. Once the evaluation is completed treatment will begin, or recommendations will be made, depending on your individual case. The initial visit for our three RMT’s is a bit different than all of the other services that we offer. At your very first meeting at our clinic they will go over your completed Massage intake form in depth with you. Once completed our therapists will then begin your treatment, which is dependent on the amount of time you have previously scheduled (30mins, 45mins, 60mins, and 90mins). On all subsequent visits a brief history of the previous massage will be done before beginning treatment so therapist knows what you would like addressed at each visit. To book an appointment with any of the services above please do not hesitate to contact the clinic, either by phone or filling out the form on our website. We look forward to helping you reach your optimum health care goals. For more information about what to expect, the Chiropractic page has lots of information including what to expect on your first chiropractic appointment.